I grew up in South Texas to a family full of runners. At a very young age, my dad, a Marine, instilled in me a love of running. However, I didn’t start competing in races until later in life. Before then I would run with my dad on short and long runs alike. I joined the United States Air Force in September 1999 and never looked back. I honorably served for 20 years, working in Human Resource Management, and earned my Associate’s Degree. Working in many different areas of Human Resources, I gained experienced in Project Management, Change Management, Records Maintenance, processing and writing requirements. Additionally, I led several Configuration Boards, taught Professional Enhancement courses on Resiliency, and worked with the Wounded Warrior Program among many other programs. As my love for fitness grew, I began looking for ways to help others within the military. In 2012, I received my Physical Training Leader certification and started leading our unit training sessions. However, I still wanted to learn more and increase my knowledge of how to help others and that is when I found Crossfit. I loved the fact that it was a community and that it was so much like the military with its “no man gets left behind” mentality. Who doesn’t like cheering other people on and helping motivate those that are struggling? 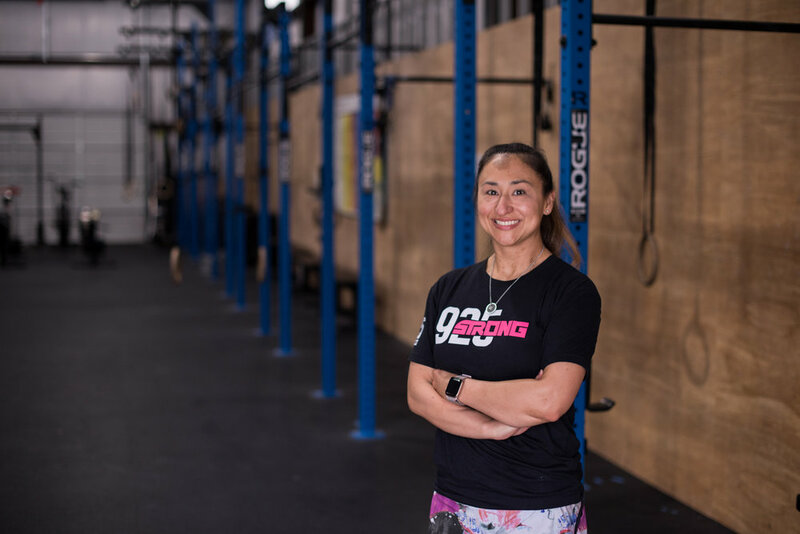 In Crossfit, I’d found my passion and in Crossfit 925, I’d found a whole new family. While stationed at Lackland, AFB, I married my husband, Matt. We have 2 beautiful girls (14 and 8) that I am raising to love fitness just as much as I do (my youngest joins me from time to time). My oldest is my track star while my youngest is a dancer.